Company Directors - Faran Sugar Mills Ltd.
Mr. Muhammad Omar Amin Bawany acquired his education from Karachi American School and then went to American College, Switzerland and obtained an Associate Degree in Business Administration. Under his wise management, Annoor Textile Mills operated successfully. He is on the Board of Directors of Faran Sugar since 1984. Currently, he is working in the capacity of Vice Chairman of Faran Sugar Mills, responsible for production and sales of sugar. He is also the Chief Executive of B.F. Modaraba managed by E.A. Management and on the board of Reliance Insurance Company and Unicol Limited. Mr. Ahmed Ali Bawany is on the Board of Directors of the Faran Sugar Mills since 1995. He got his schooling from CAS, Karachi. For pursing further education, he went to USA and got degree in business entrepreneurship from University of Southern California. Currently, he is the Chief Executive of Faran Sugar Mills and particularly looking after financial matters as well as procurement of cane for Faran Sugar Mills. Besides Faran Sugar, he is actively involved in Unicol Ltd in the capacity of director, which is a Joint Venture engaged in the production and marketing of Ethanol. He is also on the board of Reliance Insurance and is the Chairman of B.F Modaraba. Mr. Bilal Bawany completed his primary schooling from CAS school and did his A’levels from Karachi Grammer School. He then went on to pursue Bachelors in Electrical Engineering from the American University of Sharjah, graduating with honors, and an MBA from IBA. 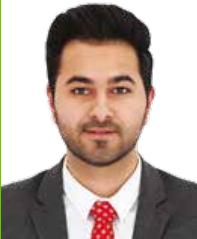 He has worked with leading companies in Abu Dhabi, Scotland and Pakistan including Baker Hughes and Avanceon. He joined Faran Sugar Mills in 2010, and is responsible for leading the techinal side of sugar mills. He has helped Faran in reaching new levels of efficiency, optimization and expansion. He has joined Board of Directors in 2015 and is also and active board member of UniEnergy, Which is a Joint Venture for Wind Power Generation. Mr. Hamza Omar Bawany is currently the CEO of Uni-Food Industries Ltd. He has a diverse working experience in various fields such as Manufacturing, FMCG and Islamic Banking. 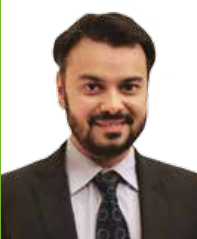 For over 10 years he has served as Chief Operating Officer of Sind Particle Board Mills Ltd. Mr. Hamza acquired his BBA and MBA degree in Marketing and Finance from IBA, Karachi. He also serves as Director on Boards of Reliance Insurance Company Ltd and B.F. Modaraba. Mr. Mohammed Altamash Bawany has joined the Board of Directors in 2016. He holds a Bachelor’s of Science degree in Mechanical Engineering from the American University in Dubai and The Georgia Institute of Technology in the United States. While having worked for the KS&EW under the Ministry of Defense in Pakistan, he has gained extensive on-hand experience in mechanical design and manufacturing. Furthermore, he has worked on multiple large-scale projects with a focus on new technologies and disruptive innovation in the U.A.E. As the Business Development Manager and founding member at one of the most promising technology startups in Middle East, he has further polished his skills in strategy consulting, business development techniques and tactics. Mr. Ahmad Ghulam Hussain: is currently the CEO of Agro Processors and Atmospheric Gases Pvt ltd. (APAG) since 1990 after completing his Bachelors of Economics and MPA from the University of Southern California (USA). He has worked under the Mayor of Los Angeles in the City Economic Development Office. After joining APAG, he immediately and enthusiastically became involved in the inception and launch of Soya Supreme (a household name in Pakistan), successfully lunching the brand in 1991. He headed the Sales and Marketing Dept. and has been responsible for professionalizing the department and setting up a complete network of distribution. Under his leadership, the company has also started manufacturing and marketing sauces like mayonnaise and ketchup under the brand name of SMART. He is also a Director of APAG Oil Pvt. limited. Mr. Ahmad Ghulam Hussain is currently a voluntary active member and has been the former President of Rotary Club Sunset Millennium, Karachi & former Assistant Governor of Rotary District and hence, headed the various community uplifting projects of the club. He has also worked voluntarily as Director, Aga Khan Education Services Pakistan for six years and he also remained Director of Focus Humanitarian Assistance for 4 years. Mr. Irfan Zakaria Bawany was elected as a non-executive director in March 2013 for tenure of three years. He is also a non-executive director of Reliance Insurance Company Limited since 1991. He is CEO of Anam Fabrics (Pvt.) Limited. He has served on the Board of Pioneer Cables Limited from 1983 to 1991. He has diversified experience in electrical Cable Manufacturing and textile made up business. After receiving a B.B.A (Accounting) from the University of Houston, USA, he was certified as a Fellow Member of the Texas Society of Certified Public Accountants. He is a certified director from Pakistan Institute of Corporate governance (P.I.C.G). Mr. Sheikh Asim Rafiq is presently working as Head of Internal Audit at NIT. He is a qualified Chartered Accountant from Institute of Chartered Accountants of Pakistan, with training from A.F. Fergusson & Co. Chartered Accountants and also a Certified Internal Auditor from the Institute of Internal Auditors, USA. He has a working experience of over a decade, substantially in financial services sector. In addition to his responsibilities as Head of Internal Audit, Mr. Rafiq is also representing NIT as a Nominee Director in different companies.